These are my favorite Easter candy. Don’t be put off by the bold, and somewhat garish packaging. The pastel colors are sublime; perfect for decorating, or arranging in small bowls on the table. Their candy shell-coating gives way to a softer, chocolate center. A few can satisfy a serious chocolate craving. 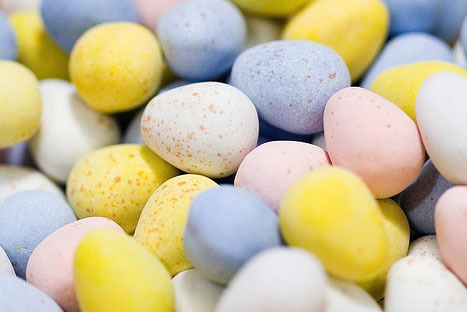 I am happy that they only appear around Easter because it keeps me from overdosing on them. Posted in Holiday candy, Milk chocolate. Bookmark the permalink.